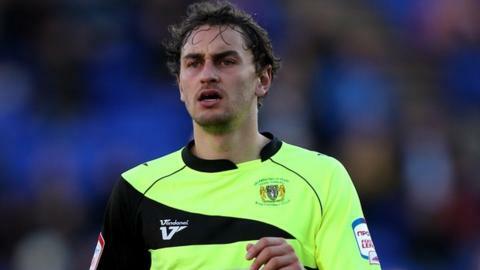 Yeovil edged past Tranmere Rovers to leapfrog their promotion rivals in the League One standings. The Glovers broke the deadlock just before the hour thanks to a well-executed free-kick from Ed Upson. Earlier on, Paddy Madden went one-on-one with keeper Owain Fon Williams but placed his shot wide, while Yeovil keeper Marek Stech saved well from Jean-Louis Akpa Akpro on two occasions. Upson came close to netting a second but his effort bounced off the bar. Yeovil now move up one place to fifth in the table while Tranmere slip to sixth. "The fans are beginning to believe that we've got a team who can challenge for promotion. "Tranmere are a difficult team to play against but we coped with the long balls they hit to the two lads up front and we created a lot more opportunities on the day. "They're still up there and we know that a 1-0 result against them is a super result." "It was a scrappy, horrible game. "There weren't many chances and we probably had the best of the game with young Cole Stockton. It was easier to score than miss. "For the game to be settled on such a sloppy goal is a shame."